How do I turn off Wi-Fi Sense (and what is it?) - Ask Leo! 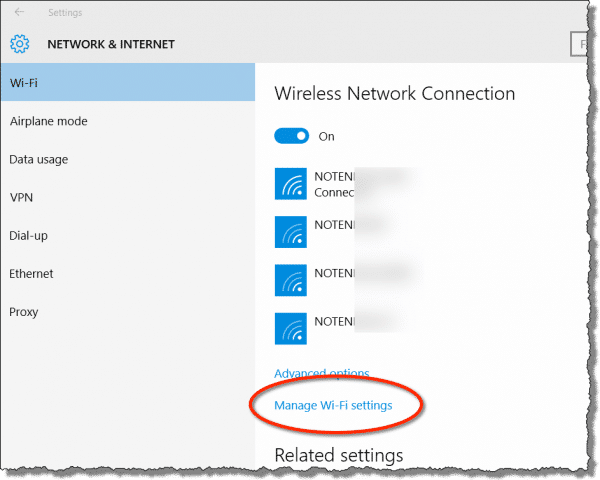 Wi-Fi Sense, a new feature in Windows 10, is designed to make connecting to wireless networks easier. You'll probably want to turn off Wi-Fi Sense for privacy. One of the new “features” in Windows 10 is something called “Wi-Fi Sense”. Its goal is to make using wireless networks easier, particularly among friends. Unfortunately, it’s also raised a number of privacy concerns. To top it off, it’s enabled by default. Let’s look at what it is, why it may or may not be an issue, and, perhaps most importantly, how to turn it off. Wi-Fi Sense automatically connects devices to wireless networks in two different scenarios. First, it will automatically connect your device to open Wi-Fi hotspots that others have connected to in the past. “Others”, here, means other users of Windows 10 that have Wi-Fi Sense enabled. Second, it will automatically connect your device to Wi-Fi hotspots – open or not – that your friends have connected to in the past. According to Microsoft1, “friends” are your “Facebook friends, Outlook.com contacts, or Skype contacts”. What makes this interesting is that you can connect to their networks even if those networks are password protected, without knowing the password. Wi-Fi Sense just connects you without showing you those passwords. How does Wi-Fi Sense get those passwords? Because your friends have enabled Wi-Fi Sense on their Windows 10 computers. And you probably have it enabled as well – because it’s on by default. What that means is that it’s possible for anyone in your contact list to connect to your password-protected wireless network without needing to know the password… because you shared it with Wi-Fi Sense. Now, I don’t know about you, but I have a lot of people in my address books and contact lists, many of whom I would readily share my Wi-Fi password with, should they ever visit. However, there are certainly just as many, if not more, that I don’t want to share with – at least not without it being explicitly being requested of me. And therein lies the issue with Wi-Fi Sense: it assumes all contacts are equal. Let’s say you disable Wi-Fi Sense; I’ll show you how in a moment. Your contacts will not automatically gain access to your Wi-Fi network. Great. You invite a friend over, and he asks you for your Wi-Fi password. You give it to him, and he connects successfully. So far, so good. Except … he has Wi-Fi Sense enabled, and Share network with my contacts was checked when he connected2. All of his contacts now have potential access to your network. First, let’s turn off Wi-Fi Sense on your computer. Click on the Start menu, then Settings; in Settings, click on Network & Internet. Then click on Manage Wi-Fi settings. The resulting page will display an assortment of settings and information about Wi-Fi Sense. Turning off Wi-Fi Sense on your PC means that your network access won’t be shared with anyone automatically. But what about that scenario where you allow a friend access, and he has Wi-Fi Sense enabled, so he and all of his friends gain access? As it turns out, there is a way you can set up the network itself such that it should never be shared by Wi-Fi Sense, regardless of anyone’s settings. Unfortunately, while the Wi-Fi Sense FAQ goes on to include some general guidelines, exactly how you do this will vary based on exactly what Wi-Fi access point or router you happen to use, and will also require that you have administrative access to that device. Check with the manual that came with your router or access point for instructions on how to change its SSID. How Do I Block Neighboring Wireless Networks? - Accidentally connecting to someone's nearby wireless network can be a serious security risk. We'll look at some steps to prevent it. Recover a Remembered Wi-Fi Password - If you forget your network's Wi-Fi password, but you're still connected, Windows can remind you what it is. How Do I Recover a Wi-Fi Password When I’m Not Connected? - Even if you're nowhere near a network you've connected to in the past, you can still recover the Wi-Fi password from Windows. 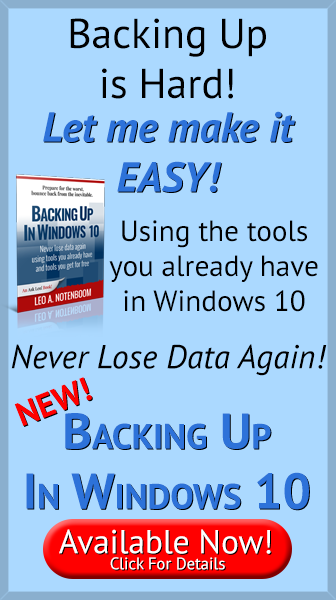 Setting up Windows 10 for privacy - Windows 10 privacy seems to be somewhat of an oxymoron, at least on its initial release. I'll review choices you can make at setup to retain some control. 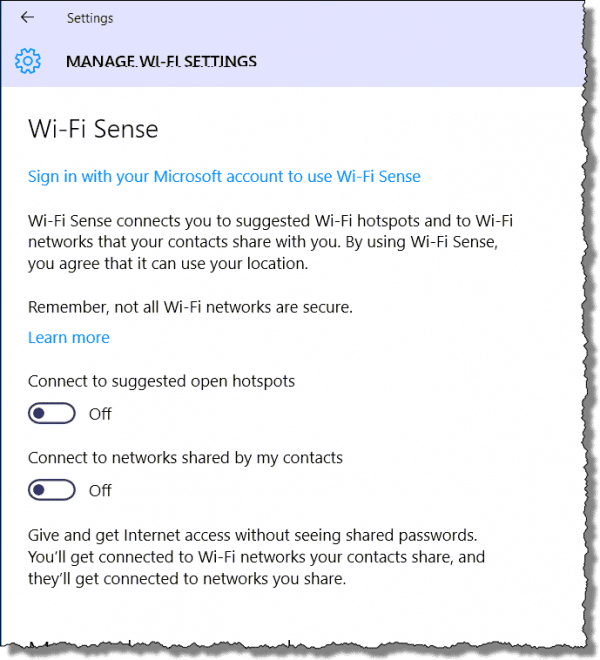 1: Microsoft: Wi‑Fi Sense FAQ. 3: Microsoft is pushing the use of Microsoft accounts very hard, and it seems likely that at some point you will log in with one, intentionally or otherwise. « Previous post: How do I find out who’s sending harassing email? At the risk of sounding paranoid, the potential privacy and security implications are huge. Sure, I can go to my router’s UI looking for “unauthorized” access but I shouldn’t have to. This should be one of those features that are turned OFF by default and only enabled by those wanting to use it. Better yet, perhaps this “feature” shouldn’t even exist. If I wish to give a visitor to my home my wireless password then I will do so. As Windows 10 is relatively new, I suspect many people don’t even know about this yet. If I read this correctly, this is an issue for me to be worried about even though I run Win7 and do not plan to upgrade. By letting anyone who is running Win10 use my network, I have opened it up to this web of connections and, had I not read this, done so without receiving any notice since I’m not running Win10. Yes, the way I read it, ALL networks are vulnerable once they’ve given access to a Windows 10 machine that allows sharing. The fact is that Wi-Fi sense absolutely demand anothe step : You must manualy allow someone to connect to your network using Wi-Fi sense. It works like an invitation/autorisation for that specific user, and only him. That invitation or autorisation can easily be revoqued. If you connect to a network with a computer using Windows 10, you NEVER allow other also running Windows 10 access to the network. The “privacy isue” was raised by peoples who obviously never used Windows 10, and just sumbled uppon some incomplete descriptions of a feature, and never made any effort to check how it realy work by themselves. After that, the “echo box” took over. A network becoming “vulnerable once they’ve given access to a Windows 10 machine that allows sharing” is only FUD. Wi-Fi sense been a privacy risk, or even only a privacy consern is also nonsense. If no manual autorisation is given, then there is NO access. There is no persistent effect on a network from a computer using Wincows 10 with file, or internet, sharing once that computer is no longer connected. 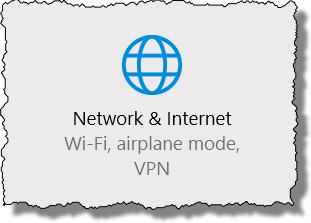 If you don’t want somebody to be able to share your network using their Windows 10 device, you’d simply need to uncheck “Share network with my contacts” when entering the network password on their device. Which everyone should do. In fact it’s what this article is mostly about. Since I don’t trust “_optout” any more than I trust “Do Not Track”, the only real defense against this security threat appears to be to implement MAC permissions on my WiFi. Did I read this correctly? Do you know how commercial companies will be able to maintain their network security or will they decide to stay away from Windows 10? I was kind of thinking along the same lines. Possibly it would take nothing more than a clever registry entry or something to bypass that “_optout” business. I also would be curious to know how to provide more concrete protection. MAC filtering on a router is a real pain the rear, especially when you have visitors. A network will only be shared if 1) You're running Windows 10 AND 2) Wi-Fi Sense is enabled AND 3) You decide to share that network. With Wi-Fi Sense enabled, whenever you connect to a network for the first time, you're asked whether or not you want to share it. Say no, and it'll not be shared. It’s not up to the guests to say yes or no. It’s up to the host. And the answer default to NO WAY. 2) Wi-Fi Sense is enabled on both computers. 3) You, the host, explicitely allow THAT ONE guest user to connect with Wi-Fi Sense. 4) Untill you revoque that permission. “By using Wi-Fi sense, you agree that it can use your location*. *A feature that requires you to “agree” to something is enabled by default*. I wonder how it even identifies these needles-in-a-haystack since there are, what, millions, billions, of routers in the world? Maybe a 64 or 128 character hex global identifier? An 8 character hex identifier has , my calculator claims, over 4 billion possible values. 64 characters seems a bit redundant ? While Wi-Fi Sense is indeed enabled by default, networks aren't automatically shared without your say-so. When you connect to a network for the first time, you'll be asked whether or not you want to share that network. Say yes and it'll be shared; say no and will not. Right. And if your friend (knowingly or unknowingly) says “share” … your network is available to all his friends. So does this mean that anyone with my wifi password will be able to login via my wifi from anywhere in the world? Or can they only login when they are within range of my wifi? Wifi only works when within range. In that case isn’t this a storm in a teacup? I’ll worry if I see lots of people gathering outside my house with their phones, tablets et al. To a degree, that’s true if you live in the suburbs, but if you live in an apartment building, it might be of some concern to you. It’s absolutely a storm in a teacup. If somebody I know well enough to be friends with on Facebook comes to visit, I’m perfectly happy for them to have access to my wireless network. Wi-Fi Sense simply saves me from having to tell them the password. And then tell them a second time after they enter the password incorrectly. And then tell them a third time when they need to connect another device. Additionally, W-Fi Sense is handy when travelling with your family as you only need to input a wireless password into a single device and it’s then automatically shared – assuming you’re Facebook friends with your family, of course! IMO, pretty much the only time that it would be a really bad idea to share a network is if your neighbors – who are also Facebook/Outlook/Skype contacts – live close enough to be able to pick up your wireless signal. As with most things, it really comes down to common sense. If you’d like to share networks, leave Wi-Fi Sense enabled and share whichever networks you wish (some, none or all). If you’d rather not share networks, either switch Wi-Fi Sense off completely or simply choose not to share any networks. when i click on network and internet, wi-fi and airplane mode are not there. As far as I am concerned, this WiFi-Sense feature, as well as the Peer-to-Peer Delivery feature, of Windows 10 clearly demonstrates a huge lack of ethical behaviour on the part of Microsoft Corporation. These features MUST be disabled by default, and only enabled in a manageable manner by the end user. Leo’s example of how he uses the Peer-to-Peer Delivery feature within his own local network is what I mean by a manageable manner. If a feature is enabled, it should provide the ability to be restricted to the local network, or an intranet, thus preventing the friends of a friend from using it by default because he (or you) did not select the disable check box when you let him in. Computer users around the globe should take up the cause by promoting complete and total avoidance of Windows 10 until this is fixed. Microsoft needs to be taught a lesson – don’t bite the hand that feeds you! Maybe they are trying to one-up the NSA! So, in order to be truly secure, not only must you disable WiFi Sharing on your own device, you must force your friends/family to disable it on their devices BEFORE you allow them to connect to your network!! If you tell somebody your network password, they can share it as they wish. If you type your network password into somebody’s computer, they can very easily view that password and then share it as they wish. Does Wi-Fi Sense really make things less secure? It makes it accidentally less secure. If your guest proactively shares the password – yep, that’s not secure. However, if your friend has no ill intent at all, he might very well accidentally share your password without knowing it if he doesn’t pay attention when connecting to your network. I believe the scope of the share is also larger in this case – all his friends would have access to it if the feature is enabled. It could also be argued that sharing via Wi-Fi Sense is *more* secure than sharing via other methods. If you manually share a password with somebody, that person could, if so inclined, share the password with others. That’s not possible if the password is shared using Wi-Fi Sense. It’s very easy to change your Wi-Fi password. So, if you are not totaly confident that that person would not share the password, just change it once the sharing is no longer needed. If I were typing my Wi-fi password into someone else’s computer, I would not allow it to be shared. I would also not allow it to automatically connect. That way, once it is disconnected, they would need the password again. Once a person has logged on to the router to get internet access, that person has that password in their computer and can manually connect even though the connect automatically option is turned off. In addition, that person can easily change the option to connect automatically. Of course, you can change the WiFi password, and that would lock them out. Thanks to Leo for the information about Wi-Fi Sense. Without your newsletter I would have been unknowingly exposed to potential intruders, as will all Windows 10 newbies. FYI I installed W10 on my tiny Toshiba (1Ghz chip!) notebook and amazingly it works fine and probably a smidgen faster than W7 Starter. It boots faster and allows all applications to work (even Office 2001). But strangely it takes eight minutes and 10 seconds to shut down. Just for info. And I notice that Win10 continues a ‘tradition’ that MS has been pursuing at least since Vista. The WiFi subsystem is so ‘promiscuous’, and the OS so promotes wireless connections over wired ones, that computers will frequently disconnect (or attempt to disconnect) from a wired ethernet connection if a wireless connection becomes available, unless the WiFi radio is turned off. All this without in any way consulting with the user. I’ve never been able to find any kind of fix for this, not even a registry tweak. I’d disable the wireless to avoid this, should it happen to me. It’s a simple click or two on the network adapter in control panel. Great info, but a little more elaboration on how how to keep from sharing Wi-Fi Sense by changing the SSID. Not how to change the SSID but rather how it works against Wi-Fi Sense. As stated in the article, you add that magical string (_optout) to the SSID name and hope that Microsoft pays attention to it. I am so glad to finally see a post instructing others how to turn this off! I have seen so much about Wi-Fi sense but nothing about how to turn it off (I am not specifically searching for it, so that may be why). Thankfully I don’t use Windows 10, or I would have posted instructions. Thanks for sharing. I have just upgraded my main deskyop from Win 8.1 to Win 10 and when I checked WiFi settings the two switches were both set to off. Don’t know if Microsoft have been listening or this is due to some previous setting already on the machine. Out of curiosity, what is the specific range for me to be able to connect to the internet using Wi-Fi sense? It’s the range of yoru WiFi, which is theoretically 300 feet, but is impacted by many, many different things including the number and type of walls that might be between the computer and access point. Thank you for this useful information. I just had a pop up saying “WiFi sense requires attention. WiFi Sense needs permission to use you Facebook account”. Very strange, what has my FB account to do with this? Also, we live out in the countryside and there is nobody around to use my WiFi. I turned off WiFi Sense like instructed but still would like to know the FB connection? Anyone knows more about this? “According to Microsoft1, ‘friends’ are your ‘Facebook friends, Outlook.com contacts, or Skype contacts’. WiFi sense wants to know who your “friends” are. I agree, it’s something I opted out of. This article was written quite a while ago, and the author obviously didn’t know how Wi-Fi Sense is actually implemented. Anyone who has ever used the feature will know that what this article implies, is not how it actually works. Given by the comments it has received, though, it seems that most people take it at face value. Of course sharing a network always bears an inherent security risk, but it’s nowhere near the cascade that the article implies. In the hopes that other people reading this article will see it, I just want to clarify two important points that it’s wrong about. First, although the Wi-Fi Sense feature is *enabled* by default, networks are not *shared* by default. If you’re on your protected home Wi-Fi, and one of your contacts visits you, you are asked whether you want to share your network with them. They won’t get access automatically simply by being your contact, they merely get permission to request it from you, which you still have to explicitly accept or deny. Even more important, though, is the second point: sharing access through Wi-Fi Sense is *NOT*, as the article implies, transitive. This means that the friend you granted access to your network to is *NOT* able to share your network with his own contacts. They get to access the network through Wi-Fi Sense, not directly by receiving the password. They’re not able to share a network they’re a “guest” on with others. So if you are the only person who knows the actual credentials to access the network, you also are, and remain even after using Wi-Fi Sense, the only person who can grant access to others. There is no “they’ll share it with their friends, those will share it on with their friends, and so on”; it’s not possible. Access always has to be requested from you directly. So sharing a network through Wi-Fi Sense is, as pointed out in earlier comments, indeed safer than sharing your password to select friends personally, because a Wi-Fi Sense guest access can’t be passed along further, while a password obviously can. I should maybe also note that Wi-Fi Sense has been deprecated last year due to the low number of people using it – I’m not sure if the infrastructure is still up and running, so it might not even be relevant anymore. And I also forgot to mention that the “_optout” tag for the SSID was only supposed to be used for open, unprotected Wi-Fi networks. Wi-Fi Sense also maintained a public database of those, to let Windows 10 systems choose public hotspots depending on some quality metric. Since protected network sharing was never automatic, the “_optout” tag would have made little sense. It was just an opt-out for maintainers of unprotected networks if they didn’t want to be listed in Windows 10’s own public hotspot database (of which there are countless others, who generally don’t even pretend to offer an opt-out). bought new msi laptop win 10. and cant get internet back on? has to do with wifi sense im sure!